Calling all Cushion Diamond Lovers! Do you Like or ♥ it? Here it is; two and a quarter carat cushion-cut diamond sparkling in the COUTURE-0382R engagement ring which was customized to have additional diamonds on the four prongs in Platinum with 0.30 carat of side diamonds on the band. Enjoy! 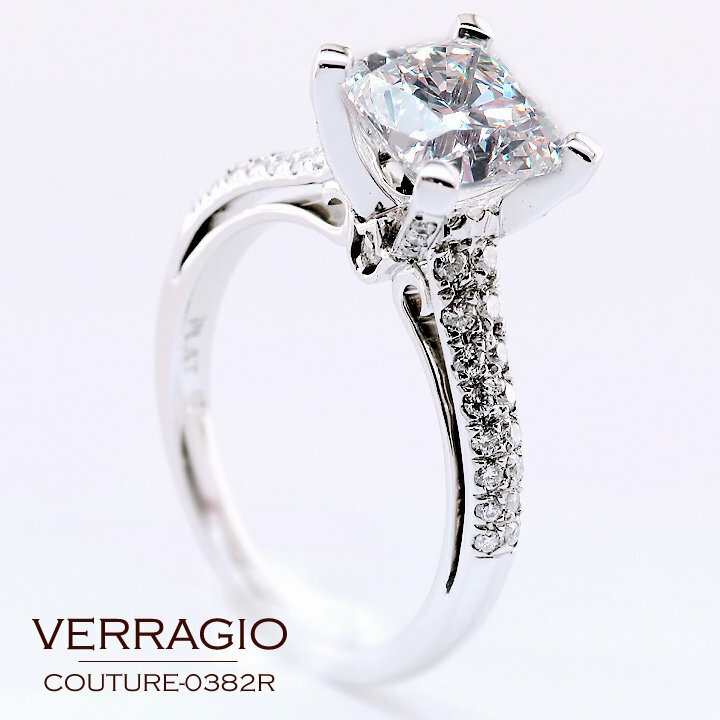 This entry was posted in verragio. Bookmark the permalink.